Enjoy amazing sound, ocean and park land views from this creekfront condo. 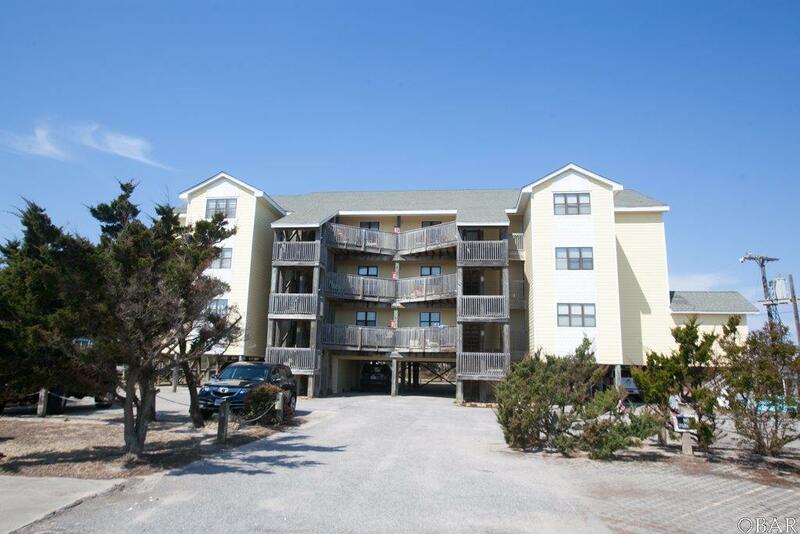 Located on the 2nd level of the Pamlico Condos, this corner condo is spacious with a living and dining area, kitchen and 2 bedrooms and 2 full bathrooms. There is an outside porch accessible from the living area and master bedroom which offers a great theater to watching the sun set over the majestic sound. The condo comes with a shed located on the ground level to hold all your beach and fishing necessities. The condo shares a community pool and dock on the creek perfect for taking your kayak out onto the sound. Don't miss this opportunity!